A ready-to-use cleaning wipe, NO WATER NEEDED! Just wipe and go. You can clean up anywhere! 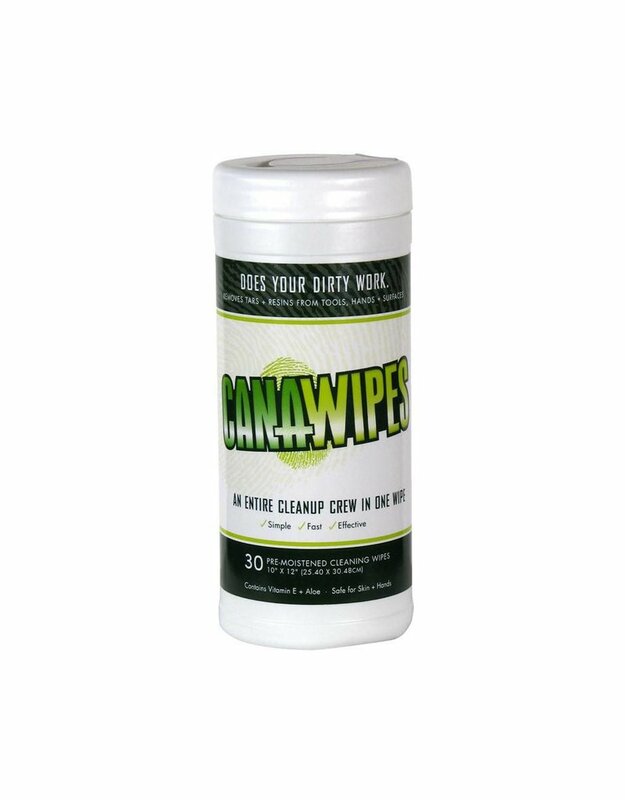 Unlike other wipes, CAN-A-WIPES does not dry out your skin. These wipes have a great clean scent and softens the hands rather than leaving them dry and cracked since they contain 4 skin conditioners including glycerin, lanolin, aloe, and vitamin E. These wipes are TOUGH—NOT ROUGH! Black Jack roofing cement and urethane sealants. People who work with these products say that can never get it off—it just has to wear off their hands—not anymore with CAN-A-WIPES!